As temperatures have started to rise and we've been seeing an increased amount of sunshine, I have had this sudden urge to step up my beauty game. Skincare is always important, but it seems especially important in the months leading up to summer so that you can enjoy your best skin without having to cake on tons of makeup. I have fallen in love with a product that has helped elevate my beauty routine and I am SO excited to share it with you. 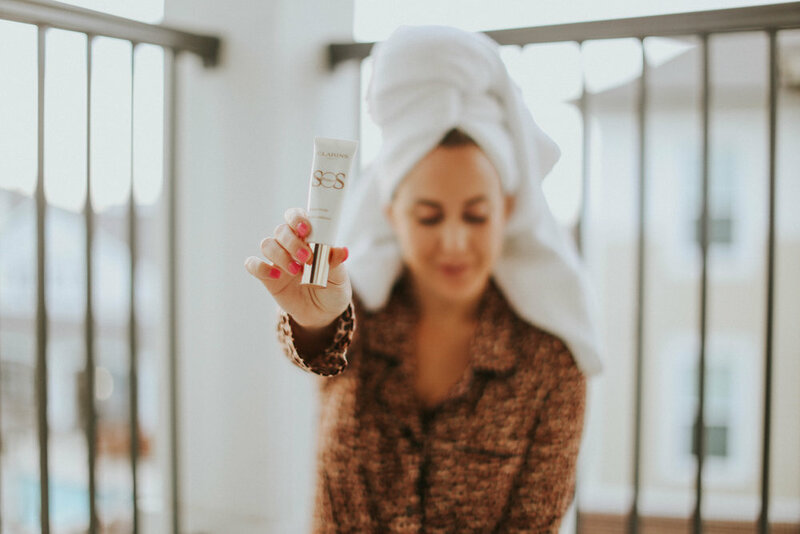 The Clarins SOS primers have become a staple in my beauty bag and something I reach for every morning. 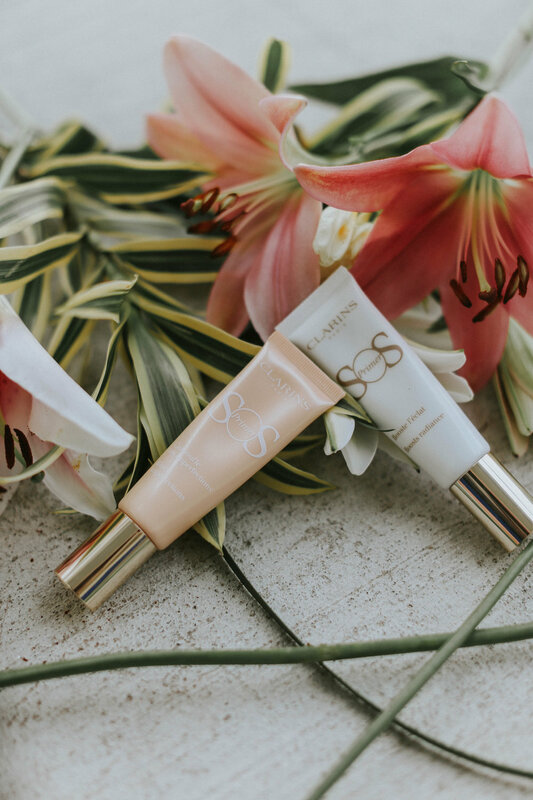 I have tried both the Universal Light Primer and the Peach Primer, and I am big fans of both. I love mixing the Universal Light Primer with my foundation on days when I need a little more coverage. It gives me the coverage I desire but also gives me that glow that I am always looking for. My skin stays hydrated and fresh throughout the day. On days when I want to wear less makeup, I start with the Peach Primer which helps to blur imperfections. It is seriously amazing and gives my skin an even finish and covers any dark spots or blemishes I may have. I then finish my skin with a little powder and bronzer, and I am good to go!